Planning a wedding comes with thousands of different options. Because of this, it is easy to overlook details that could end up racking up a huge bill later on. When it comes to selecting your DJ, knowing about the importance of insurance and hidden fees can really make a difference. They are Professional – Someone who is only working for a little extra pocket money probably won’t invest in an insurance policy, but someone who is who is DJing as their profession will. Guest and Venue Protection – Accidents happen, so if someone were to be hurt or if anything were to get damaged during your big day, it’s comforting to know your DJ has insurance to cover it. Will you bill me for songs requested throughout the night that you do not already have? I am wanting these songs edited to fit my entrance, will this cost extra? Do you have dance lights? Will the use of these lights cost extra? Encore hopes these tips will help you choose the correct professional for your event. If you have any questions, contact one of our DJs today! Win Dinner and Drinks for Two! In honor of this St. Patrick’s Day, Encore will be giving away free dinner and drinks to two lucky people! Photos must be entered by Friday, March 20, 2015. After all photos have been entered, Encore will vote on which photo shows the most St. Patrick’s Spirit. Then on Monday, March 23, 2015 the winner will be announced and contacted by Encore. The lucky pair will then receive a $35 gift card to one of our favorite restaurants, Old Chicago! If you have any questions, please contact Sarah at 913-957-9974 or by email at encoreeekc@gmail.com. It’s not everyday that you can say you’ve spent half a century with someone but this year my parents can! Mrs. Shelah and Mr. Gary Goyer have officially reached the golden anniversary, according to Hallmark, so my siblings and I decided to do something special. So, what did we do? Well, Kristi, Kara Dawn, Ryan, myself (Danny), and our spouses gathered together and began to plan. We ended up deciding that instead of just saying ‘Surprise, here is your gift!” We would build up the suspense by drawing out the gift’s announcement into four weeks of clues. Take a family photo announcing what the gift is. Turn that photo into a puzzle. Break the puzzle into four seperate sets. Each week a sibling will send their set to Mom and Dad. On the fourth week everyone will get together to FINALLY announce what is going on. We are all excited to celebrate this important event in our parents lives. It is priceless the love, time, memories, and commitment they have created over these past 50 years and we hope for 50 more golden years. Now, since this is all taking place this month, I can’t tell you what the gift is going to be, yet! But, I want to share this experience with you. So, follow us here for the next four weeks to see how we pull it off. This blog post will be updated every Wednesday during the month of February with each siblings story. Since we decided to go in birth order (oldest to youngest), I was the first to send my set of puzzle pieces. With the pieces I sent a card and a letter explaining what was going on. In response, my mother texted to let me know she was extremely touched but found that the only issue she was having was “even my mastermind of a man couldn’t finish the puzzle…it would seem you forgot to include them in the bag.” unfortunately she will have to wait until next week for additional pieces! Check back next Wednesday to see how Kristi chooses to send her pieces. This week was Kristi, the second child’s, turn. To accompany her puzzle pieces, Kristi included a card and our parents’ favorite candies; Brach’s Maple Nut Goodies for Mom and Jelly Beans for Dad. Check back next Wednesday to see how Kara Dawn chooses to send her pieces. included M&M’s and Almond Joy! Check back next Wednesday to finally find out what the anniversary surprise is and how Ryan delivers it! “We met in junior high. Your Dad would often send me notes on the school bus asking me if I liked him and at first I marked the “No” box on the note. Then our Methodist church youth group started doing activities with his Christian Church youth group which gave us a chance to have fun together and get to know each other. Soon I changed my mind about marking the “No” box on the note. We then started walking together in the halls at school. Now, 50 years later, Ryan asked my parents to meet all us of at Kara Dawn’s house to finally finish the puzzle. After everyone arrived, the grand-kids gathered around to help Dad assemble the last pieces. Finally, after a month of waiting, Mom and Dad learned we will all be taking a family Caribbean Cruise this May! After the announcement and surprised, tearful, joyful, Thank Yous!” our family enjoyed wine and sparkling grape juice. This is a trip that my mother has been hinting at for a long, long time. I am so glad we can finally make it happen for her! Thank you to everyone who has followed this project for the past month and Happy Anniversary, Mom and Dad! Congratulations on your engagement! This is an exciting time for both you and your fiancé. Now that you’re engaged it’s time to start planning but how do you do that without knowing where to begin? To help, Encore created a list of important question that you need to know. With this knowledge from industry experts, we hope to help you along your journey of creating your dream day. Our friend, Brad Ozias, who is the executive director at The Loose Mansion sent us these following questions when asked what a new bride should be asking prospective venues. 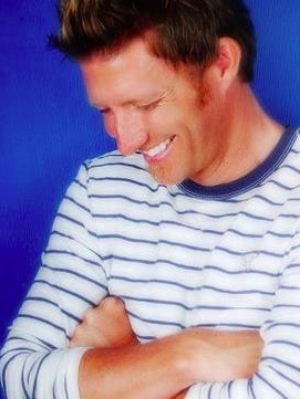 He feels, with 25 years of experience to back him up, that they will help with the success of your event. What do you add your service charge to – Food, beverage, both? This can really add up since most places now charge between 20 – 25%. If a set price for the bar (example: $17 for beer and wine for 4 hours), how many drinks does that account for? Some places charge up to $30 or more for a 5 hour period and you will have way more alcohol than you will ever consume. What is included in your room or facility rental? Many times you have to rent chairs, tables, glassware, and silverware, which could be almost $20 per guest. Will there be someone on hand to facilitate the ceremony and reception, or is it just a banquet captain to watch over the staff? Do you have a list of suggested vendors that you prefer to make this event successful? Weddings by Hannah founder, Hannah Kiamann, also provided valuable insight into what future brides need to know to ensure everyone is on the same page. What if you get sick or have an emergency on my wedding day? How can you save us money? Are there any additional costs that may come up outside of your packaged services? Are there vendors that you prefer NOT to work with? Are we limited to only the vendors you suggest? Encore’s very own, Danny Goyer, provided a list of questions that will ensure you more than just an “IPod on shuffle” experience. In 15+ years of service, Danny has seen that the relationship a couple has with their DJ/MC can make a world of difference. Will you do my reception? If not, can I meet my DJ? Do you have any references, from both couples and vendors? How will you ensure a fun dance floor? Are you a DJ, MC, or Master of Ceremonies? DJ – Someone who plays the music at your reception. MC – Someone who will make announcements or give direction BUT needs a script. Master of Ceremonies – Someone who you trusts to play the music AND make announcements, give direction, or keep the night flowing without a script. Good friend, Mary Partridge, from Classic Catering has been serving Kansas City for 22 years. These 5 questions will help ensure a satisfying meal for you and all of your guests. How does your food set you apart from other caterers? How do you know how much food to prepare for my wedding? Can I taste the food that will be served to my guests? Who will be the lead contact for my wedding and who will be in charge of the catering at my reception? Do you have a commercial kitchen? Can I see your kitchen where my food will be prepared? Encore hopes that this will help guide you through this wonderful journey you are preparing to embark on. For more information, contact us here. Even in the coldest weather, the months of November and December are warmed with family and traditions. It’s amazing how each little activity, decoration, or ritual adds to the beauty of this season. Encore loves to help incorporate those feelings into each couple’s big day. We believe that the wedding day is not only intertwining the bride and groom, it is linking every aspect of their lives, including their friends and family. This is why it’s rewarding to involve the important people in the celebration. The Italian Cookies – It is common at traditional Italian weddings for family members (Mothers, Grandmothers, Aunts, Cousins, etc.) to bake cookies to bring to the reception. This results in a dessert table piled high with delicious family recipes for each guest to try. French Cakes – This old tradition is similar to the Italian cookies with an added detail. The guests bring small cakes known as Croquembouche to the wedding and pile them as high as they can in the center of a table. Then if the happy couple can manage to share a kiss over the pile without knocking down the cakes they will live a lifetime of prosperity. The Lucky Date – In India, the couple doesn’t choose their wedding date. Instead, a knowledgeable family member, fortune-teller, priest, or astrologist figures out the most auspicious day by considering factors like birthdays and phases of the moon. If the date falls on a weekday, many couples in the US will hold two wedding ceremonies – one with close family on the actual day and a larger celebration on that weekend. The Family Tree – Encore loves this element because it is a conversation starter between guests. It can be as simple as setting a table with pictures of family members to getting creative and building a map a photos hanging from a tree. However it is presented, it is intriguing to guests to see where the bride and groom came from and imagining where they will be going. Words From the Absent – Our DJ’s have been known to take recordings or a toast or blessing from a close family member or friend that were unable to attend the ceremony. This sweet sentiment can really impact the bride or groom, especial if it is presented as a surprise. The Father Daughter Dance – This traditional dance can be taken to a whole new level by adding personal details to it. Encore has seen fathers choose songs that brings back memories from the bride’s childhood and even record a section of themselves singing it to their daughter. This will emotionally capture the whole room and create an extremely memorable moment. Traditions are wonderful things that are passed down from generation to generation. Contact Encore today to help continue your family’s traditions on your special day! Don’t Get Lost in the Crowd – Hear Your DJ/MC Clearly! We’ve all been there – a wedding reception and the DJ just keeps rambling on and on. You have no idea what he’s talking about. You really don’t want to hear the jumbled sounds of some guy’s voice while you’re trying to catch up with the cousin you haven’t seen in 4 years. You want to jam to the music and watch the cake cutting! Well maybe not – it’s just another reception, they’re all the same, right? That’s where you are wrong! Don’t let your reception be just another event that your friends and family can check off their calendar. Instead, highlight the personal touches you took the time to add and team up with your DJ to leave your guests in awe. For example, long time DJ/MC, Danny Goyer, teamed up with an amazing couple earlier this month who added sweet, sentimental touches to their cake cutting ceremony. Instead of letting the details be over looked by most of the room, Danny called attention to these important pieces so everyone could enjoy the moment. When you put time into getting each piece just right, like Brigid who incorporated her great grandmother’s knife and serving knife from Italy along with a cake topper designed and made by Mary Kate (Brigid’s sister ans Maid of Honor), it’s so much more delightful to share them with each and everyone of your friends and family. By avoiding unnecessary dialog and only calling attention to moments that will either intrigue the crowd or directly effect them, you create interest every time the DJ/MC speaks. Encore has found this technique along with high quality equipment results in a pleasant experience for everyone involved. Have you ever been to a wedding, dance, or party where the music is blaring in the front only to sound strained as it reaches the back? In Encore’s experience, placing speakers in the front, along with a wireless speaker in the back (so guests don’t trip over cords), provides the perfect stage for comfortable, clear music at any volume for the entire room. Along with quality speakers (Encore prefers Bose for their equipment) your DJ needs a quality microphone. They may look like secret service, but hearing the clarity of their voices through the speakers, proves that the “country man” headset microphones that Danny, James, and Ryan use are a must for every event. On top of everything though, it is important to have a DJ/MC that you trust to run your event. This is your special day, so team up with someone that will take your reception from cookie cutter to exceptional. I have referred many couples to these two wonderful people. When you read this post and look at their site you will know why. Pastor Timmy Gibson presents. The Perfect Ceremony! I used to think I knew what the perfect ceremony looked like. And now after 15 years I’ve come to realize the perfect ceremony is whatever the Bride and Groom want, for the most part. It’s our job as wedding professionals to help them discover and create the “perfect ceremony” unique to each couple. Planning a reception with each couple to help make it uniquely theirs is what helps make us and the receptions we are a part of wonderfully successful and Memorable. Weddings are a time for joy and celebrating two families becoming one. Finding the one you want to spend your life with is such an amazing feeling. 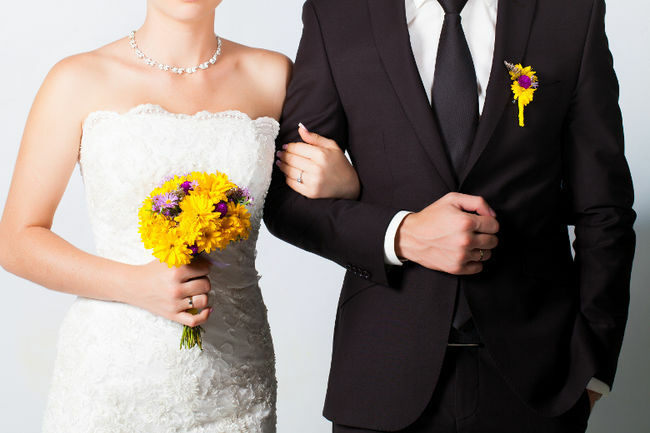 As spring is here it is easy to see why couples choose this time of year to get married. The trees are blooming, grass is turning green and freshness is in the air. That is exactly what we shared with Adam & Alexsis this past Saturday at Californos. They had an amazing spring time outdoor ceremony followed by a night of fun filled with Memories they will share for a lifetime. Alexsis & Adam had many personal touches that started with their hand made invitations to their vows they wrote for each other. Then the fun ways we released the tables to enjoy the buffet and the dancing that lasted all night. They say when you marry in spring you are a bride all your life. Having the perfect mix of family and friends at a ceremony will increase the love that is exchanged between a bride and groom. The story is never the same of how two people meet and fall in love. Either should be any two weddings. It is a time to let your personalities show. Bravo to Shakespeare’s description of the fifth month of the Gregorian Calendar as “The Merry Month of May”. Just think of all the celebratory events that are packed into May’s 31 days. The very first day we have “May Day”, full of colorful May baskets, ribboned May Poles and beautiful May Queens. Hat Fashionistas sip on Mint Julips and watch the “Most exciting two minutes in sports” during the Kentucky Derby . Not even a week later, we are getting tipsy on Margaritas and gorging ourselves on espinaca dip and chips for Cinco De Mayo. We gratefully acknowledge the loving and important women in our lives on Mother’s Day, and honor the brave men and women who lay down their lives to protect and serve our country on Memorial Day. Tuxedos and sequins fill the dance floors every Saturday night for Senior Prom and “ Pomp and Circumstance”echoes throughout the gyms and arenas on Sundays as we cheer on our high school and college graduates in their robes and tassled mortar boards. As if all these celebrations are not enough, May is a magnificent time for weddings. We here at Encore Elite Entertainment have the luxury of being able to experience first hand a bride and groom’s wedded bliss in the month of May. Thank you for letting us share music and memories in the Merry Month of May! 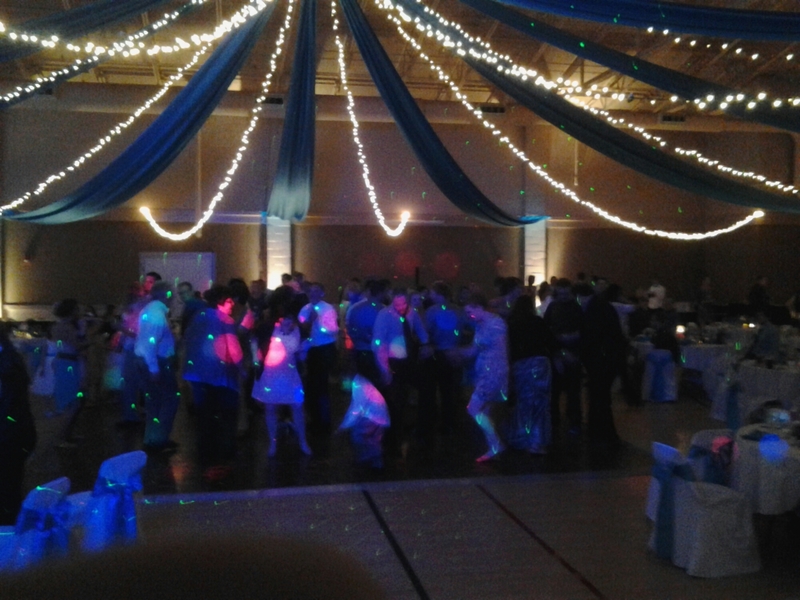 Saturday night Encore Elite Entertainment was in Lee’s Summit at the Holy Spirit Catholic Church with Josh & Megan Ragsdale. So many people spend alot of time looking for the perfect location and there are many wonderful sites in Kansas City. Josh & Megan decided to focus on creating a fun memorable night. Affordable Elegance was the caterer and they also provided the bar tenders as well as the cake. All of these were as good as any hotel Encore has ever worked at. Josh & Megan also had a photo booth provided by KC Photo Booth one of the best in Kansas City. taken with a cell phone) of the dance floor now keep in mind this is a church gym and we think they did a great job of making it look wonderful.